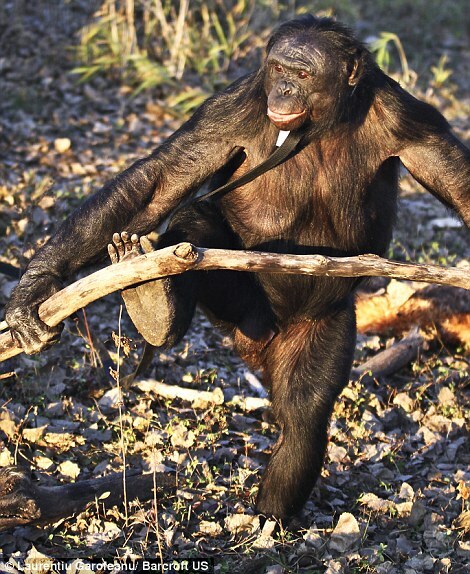 Kanzi is one smart monkey. 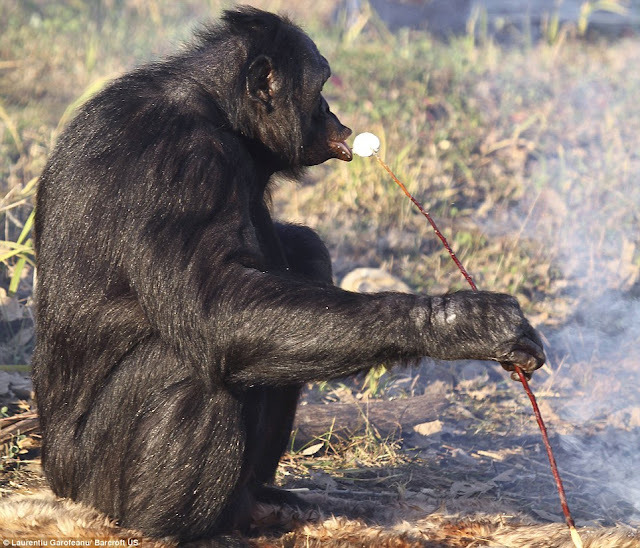 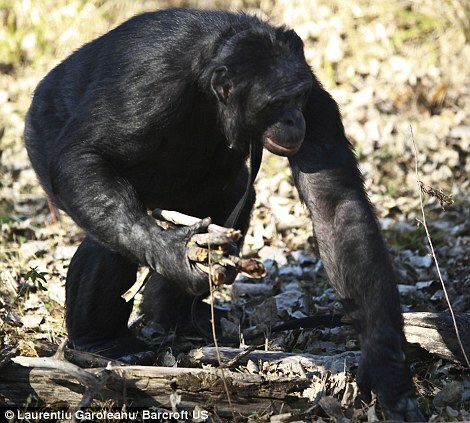 The 31-year-old bonobo chimpanzee not only knows how to use tools -- he knows how to start fires and fry himself a meal. 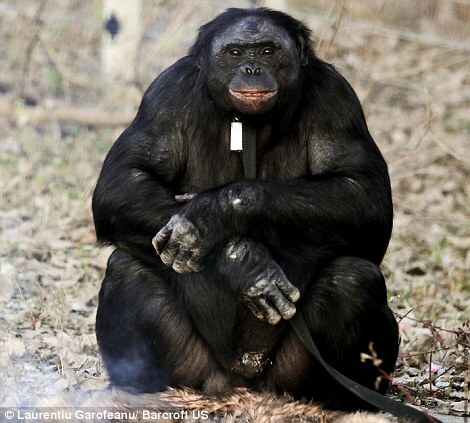 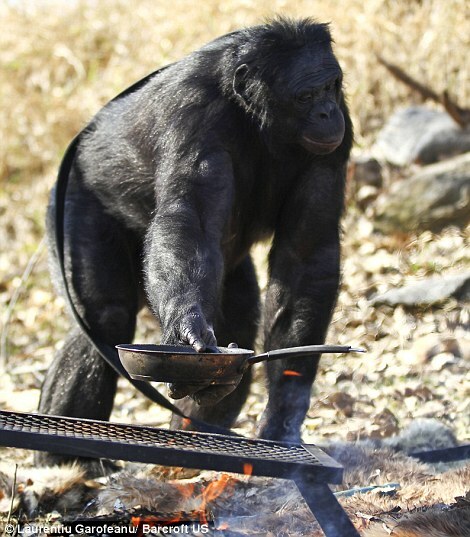 Not unlike human campers, Kanzi enjoys roasting marshmallows over an open fire and pan-frying hamburgers. 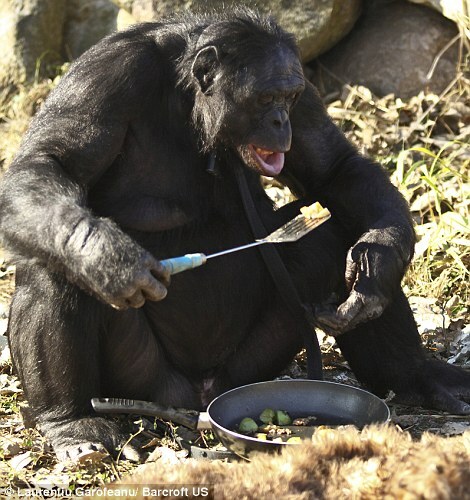 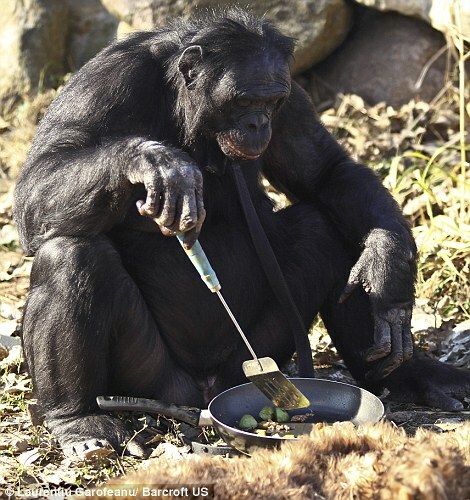 Scientists have documented chimpanzees' abilty to use tools, but Kanzi shows unique skill at cooking his own food. Kanzi lives under the care of Dr. Sue Savage-Rumbaugh of the Great Ape Trust in Des Moines, Iowa, where scientists taught him to use matches. 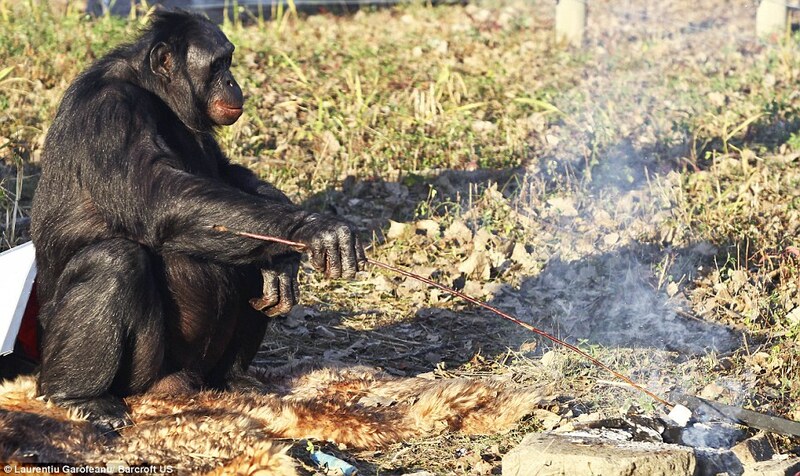 "Kanzi makes fire because he wants to. 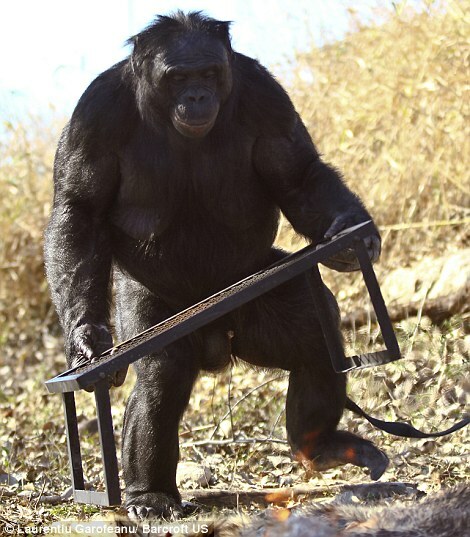 He used to watch the film ‘Quest for Fire’ when he was very young, which was about early man struggling to control fire. 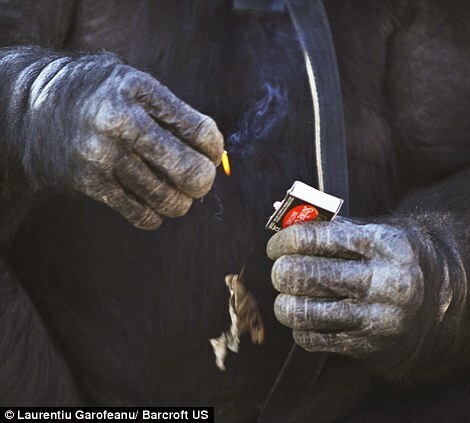 He watched it spellbound over and over hundreds of times," Savage-Rumbaugh said. 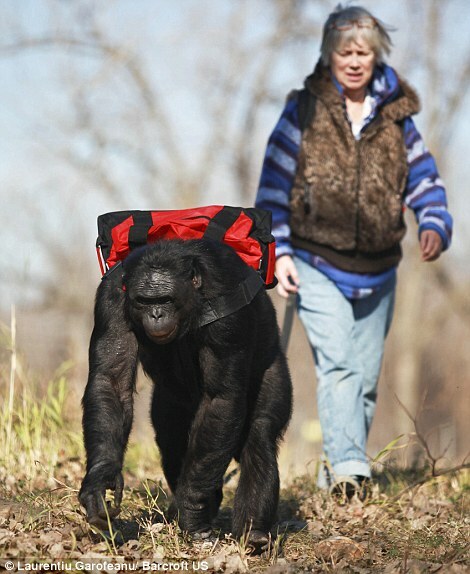 He uses paper keyboards to communicate with Dr Savage-Rumbaugh and fellow primatologist Liz Pugh. 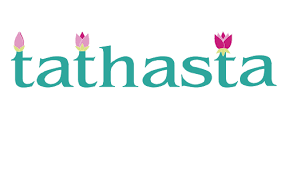 In conversation with the researchers he points to symbols, known as lexigrams, on the keyboards representing different words. 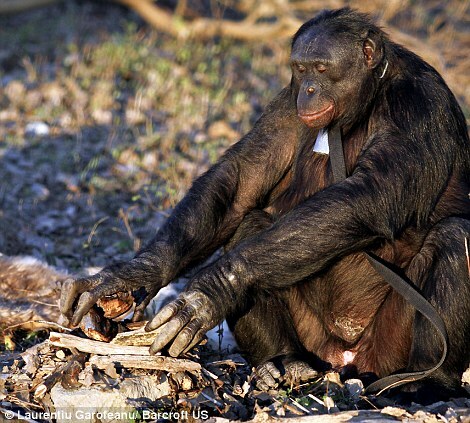 He has learnt to ‘say’ around 500 words through the keyboard, and understands 3,000 spoken words.